Located beside the Encanyissada lagoon, the Casa de Fusta (literally, the Wooden House) is one of the most distinctive buildings in the Ebro Delta. It’s an ideal starting point to explore this area of southern Catalonia. Built in 1926 by a hunters’ association from Barcelona, it has been converted into a visitor centre – with an information point for the Ebro Delta Natural Park and a small museum. 182 birds from 134 different species are on display, representing bird-life from all the different eco-systems in the Delta – lagoons, river, riverside vegetation, beaches and dunes.Its size and bright green colour mean that the Casa de Fusta stands out from the more traditional Delta constructions; the barraques (traditional buildings for hunters, fishermen and farmers) which are small and white-washed, usually made of mud from the river banks. Across the road from the Casa de Fusta, there is an observation post offering a marvellous view of the Encanyissada lagoon. It is also the starting point of a waymarked 900-metre route round part of the lagoon with information posts at relevant points. This route is ideal for walking or cycling. The Encanyissada is the largest lagoon in the Delta. Its name comes from the reeds (canyes) which surround it, providing food, shelter and nesting areas for the many water-birds which live here. The largest nesting colonies in the Delta are found here – you can see birds such as the little egret, the cattle egret, the black-crowned night heron, the little bittern, the squacco heron, and the purple heron. A picturesque and quaint village near the Encanyissada worth visiting is Poble Nou del Delta. Most of the buildings are only one-floor high, painted white, and with plant-filled interior courtyards. Another characteristic feature of this village is the palm trees which line the streets. The white church tower stands out and can be seen from many kilometres away. This village was founded as recently as 1955 to house farm-workers who came – mainly from Valencia – to work in the rice fields.The Tancada lagoon is surrounded by rice fields and located between the open sea, the Alfacs Bay, and the Encanyissada lagoon. It is a Nature Reserve for wildlife and a perfect bird-watching site to spot mallards, flamingos, gulls and terns. All year round, but especially towards the end of the summer, it is an excellent site for observing ducks and coots. Cormorants, flamingos, and the pied avocet are easily seen in winter months. The Tancada lagoon is a few minutes from the long deserted Eucaliptus beach. This beach joins the Trabucador beach, a thin strip of sand connecting the Delta to the Banya peninsula, which curls round the Alfacs Bay. This long thin arm of the Delta eventually leads you to the Trinitat salt lakes, another excellent spot for bird-watching thanks to the array of water and sea birds which nest there. Flamingos and Audouin’s gulls are two of the most common birds. In fact, it is one of the largest nesting-colonies of Audouin’s gulls in Europe. This area is listed as a Nature Reserve too and access is restricted. The best time to visit is in the late evening, at sunset, when the seabirds, and especially the flamingos, return and prepare for the night.  The Ecomuseu in Deltebre is well worth a visit to find out more about the wide variety of birds and plants, and the history of the Ebro Delta. This visitor centre is made up of different small areas which reproduce the typical natural environments of the Delta, such as the river, the lagoons, rice fields, or riverside vegetation. Human activities in the Delta from the past and present are also demonstrated here. There are displays and information on fishing, river sailing, the irrigation system of the Delta, and rice growing which help to understand the relationship between people, their livelihoods and the Delta. Finally, there is an aquarium with examples of all the most characteristic fish and amphibians from this area. Following the river from the town of Deltebre we arrive at the river mouth where the struggle between land and sea has drawn a wild, yet beautiful, landscape of sand dunes and immense golden beaches. On the northern side of the Delta, you can find the huge deserted Fangar, Marquesa and Riumar beaches. The Columbretes are a group of archipelagos declared as a nature reserve thanks to their biological and ecological diversity. The Columbretes isles actually consist of four small groups of volcanic isles. Their names in Spanish (Catalan) are Columbrete Grande (Illa Grossa), La Perrera (La Ferrera), La Horadada (La Foradada), and El Bergantín (El Carallot). They have many volcanic pipes and craters and they have also been classified as a marine reserve. The biological diversity on show makes this an ideal spot for sailing and diving. There are several species of flora and fauna here which are unique in the Mediterranean and they provide an important stopover place for birds migrating from Europe to Africa. The Columbretes isles are also a protected area for the reproduction of lobsters.